The varsity soccer team celebrates the 1-0 win over Franklin Sept. 25. 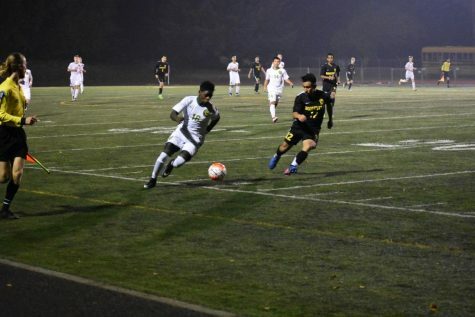 Mo Mohamed scored the winning goal about 15 minutes into the second half. 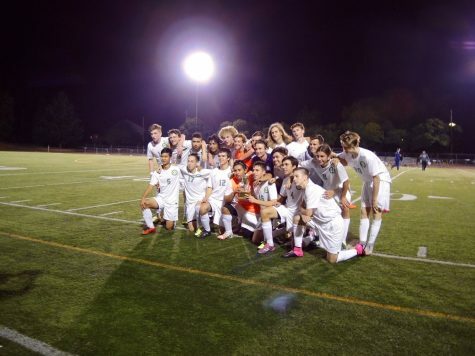 The victory meant the Warriors would bring the Southeast Cup home to Cleveland for the first time in two years. 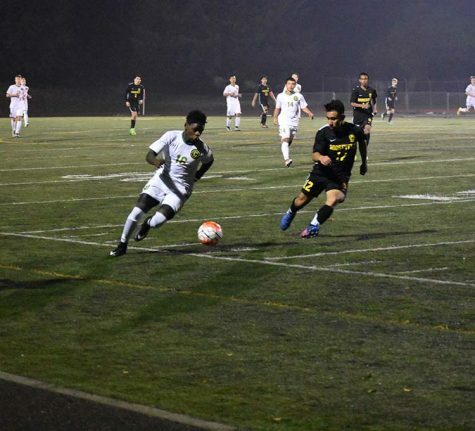 With the non-league season in the books, the PIL is finally underway and for the Warriors, the rivalry game against Franklin for the Southeast Cup was upon them. Two years ago, Cleveland was narrowly defeated by a score of 2-1, and last year the two teams drew 1-1, so Franklin kept the cup. 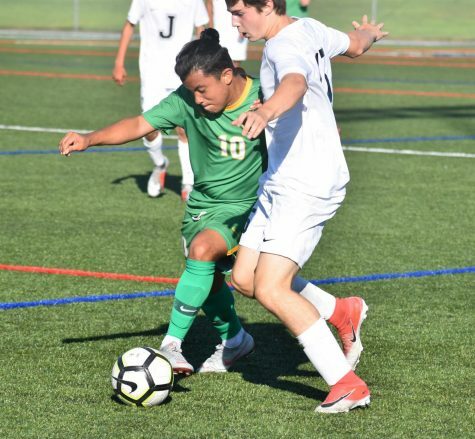 Cleveland controlled the run of play for a majority of the game with strong midfield play from senior Alex Weiler, and about 15 minutes into the second half, they found their goal as sophomore forward Mo Mohamed slotted it in from eight yards out off a cross in from the left. “This win means a lot. We had a pretty rough preseason and I feel like we can work as a team and build up. We’ve been really excited for that game and everybody really stepped up,” said Mohamed. 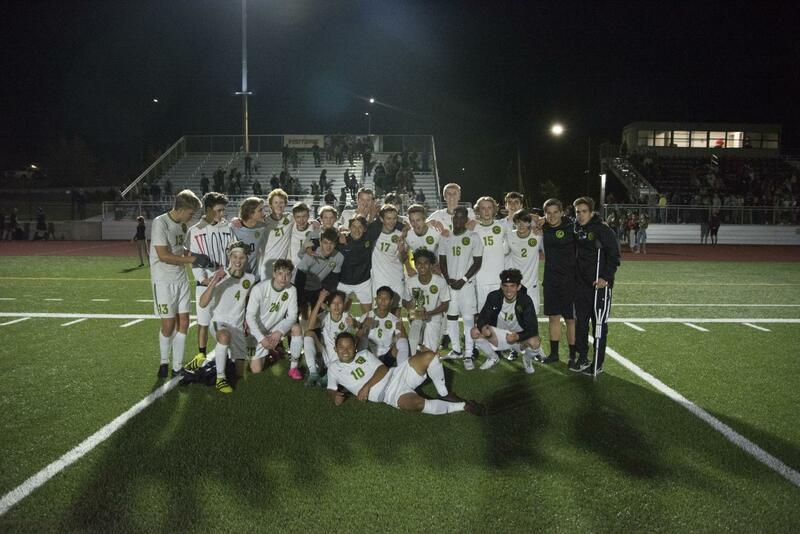 The Warriors celebrated the goal but knew there was still a lot of game left to be played. Franklin (0-1, 4-4) did try hard to equalize and had one or two decent chances towards the end of game but were unable to convert as the Warriors held on for the 1-0 victory. With one out of the seven league games in the books, the Warriors (1-0, 3-4-1) take on fourth place Lincoln at home on Matchday two on Sept. 27. Last time out, Lincoln (0-0-1, 3-2-2) were involved in a scoreless draw with Madison. This is the current PIL Table. The top three teams qualify automatically for the 6A State Playoffs while the remaining five teams are set to be candidates for one of the At-large bids.